Redken All Soft Line: Review and *total rave*! Hello readers! Have you tried Redken? It is my absolute fav line of haircare products. This is my first post in a series of articles dedicated to my love of all things Redken!!! 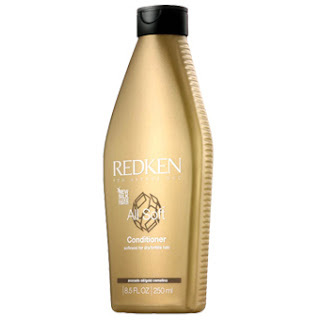 I have tried many products by Redken in a variety of their hair-care ranges. So, I will start off with my personal favorite line by Redken: The All Soft line. FYI: I have long straight thick hair that is fine in texture. It is naturally a dark blond, but I get it highlighted to a light blond color. My hair is dry from the highlights. I always look for shampoos/conditioners/treatment products that are moisturizing, strengthening, detangling, and smoothing. My big "splurge" on myself is going to the salon every 8-10 weeks for highlights. So, I figure, if I am going to fork out the $$ for great highlights...I must take good care of my hair! 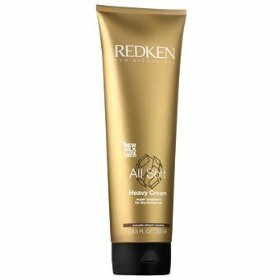 The All Soft Line by Redken is ideal for dry, damaged or color treated/highlighted hair. It is my go-to shampoo/conditioner/treatment for moisture. I have repurchased these products over and over again so many times...I can't even count. Total HG status!!! If I want a good hair day...I wash with this hair care line (I do alternate shampoos as I do like trying new things...and sometimes I wash with a protein shampoo. I tend to rotate washing with protein shampoos-either Aphogee or Joico-and a moisturizing one...and occasionally a color correcting one). Tip: "Evaluate" your hair before you wash it. If it is dry: wash with a moisturizing shampoo (like All Soft). If your hair has had a lot of breakage: either do a protein treatment or wash with a protein shampoo. If your hair has some brassiness: wash with a purple color corrector or do a color correction treatment (please stay tuned for upcoming reviews on various color correction options!!!). LOVE the scent...has a sweet honey-type scent. So yummy! Thick, rich, and concentrated shampoo. Lathers well and leaves hair relatively detangled (if you need to comb out your hair for a protein treatment in between washing and conditioning...this is a great shampoo to use as you can comb out your hair pretty well without conditioner). Cleanses hair without over drying. Thick rich conditioner with the same great scent as the shampoo. Rinses "clean" no greasy residue...just great moisturized hair. Deep conditioning hair mask with the same awesome scent as the rest of the All Soft Line. Super thick formula...it really coats your hair. My hair is dry enough to use this more than once a week. I use this every time I wash with All Soft: I apply to the bottom 1/3 of my hair (the ends and just above). I use the regular All Soft Conditioner on the top 2/3 of my hair and just concentrate the Heavy Cream on the ends). About 1x per week or 1x every 2 weeks: I use this on my whole head. This product amazes me as it is sooooooo moisturizing and thick...yet it doesn't weigh my hair down! Granted...I do have very thick dry hair...but, still, I have not noticed it weighing my hair down at all. I love how my hair styles after washing/conditioning/deep treating with the All Soft Line. My hair is left shiny, detangled, and bouncy. LOVE, LOVE, LOVE this!!! Another great thing about Redken...the price! Yes, this is a salon brand, but one of the most affordable brands. 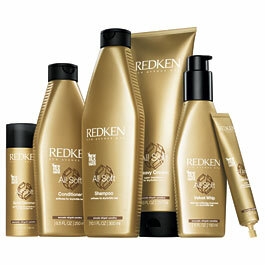 With Redken, you get high quality products at a great price. Typically, I buy when Ulta is doing the "Buy 2 get one free" sales...and I always by the Shampoo in a Liter bottle and add a big pump. Ulta has Liter sales periodically where the whole liter is, I believe? $19.99 (and it lasts me forever). I couldn't recommend this brand any higher!!! Thank you Redken for these great products!!! Hope you all enjoyed reading. Any other Redken fans out there? What products do you like? Hey Pammy!! I luv luv luv Redken!! I use the red bottle for colored hair! I've been using this shampoo for almost a year and i luv it!! Hey Pricilla! Yes-the red bottle...thats the color extend line, right? I have used that before and *loved* the scent! Redken makes such fantastic products! :) Thanks for the comment girl!